Some want the romantic lights of Paris, others the bustle and nostalgia of New York. Cut from a different cloth, Julien was instead drawn to China’s anything goes landscape. 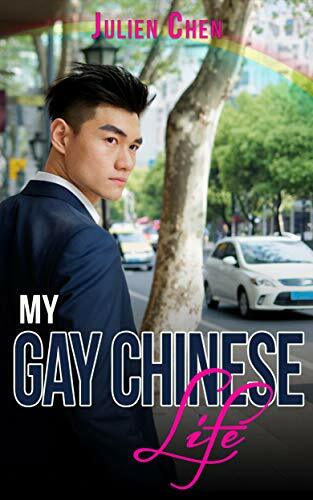 In ‘My Gay Chinese Life’, our intrepid traveler relocates to the labyrinthine metropolis of Shanghai, ready to teach young Chinese students how to find their dance rhythm. One part travel guide, one part anthropological field notes, Julien sheds light on this perplexing, captivating city and the people who live there. Applying for a visa, working in the education sector, and speaking the language are but a few of the helpful tips our author covers. Dig a bit deeper and you’ll discover hilarious, laugh-out-loud accounts of living in Shanghai. Settle in and find out about China’s fascination with a certain ’80s saxophonist, the importance of a poker face in copy markets, and all-Chinese theatrical interpretations of American sitcoms. Julien’s adventures in Shanghai’s Wild West, anything goes landscape, are documented over the course of this brutally honest retelling of his first year spent in this wild, foreign and unforgiving city. Take a load off and have a read of this queer man’s perspective of a year spent in the worlds wildest city.